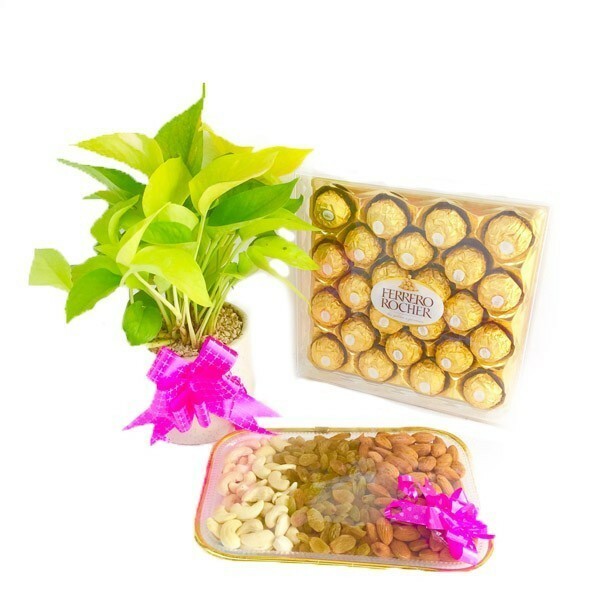 This Multi layered and Tempting Ferrero Rocher chocolates with a crispy and crunchy hazelnut exterior will make your loved one feel special and most loved.Send it Now through Dp Saini Florist. 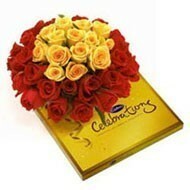 Surprise your loved ones with bunch of chocolates. 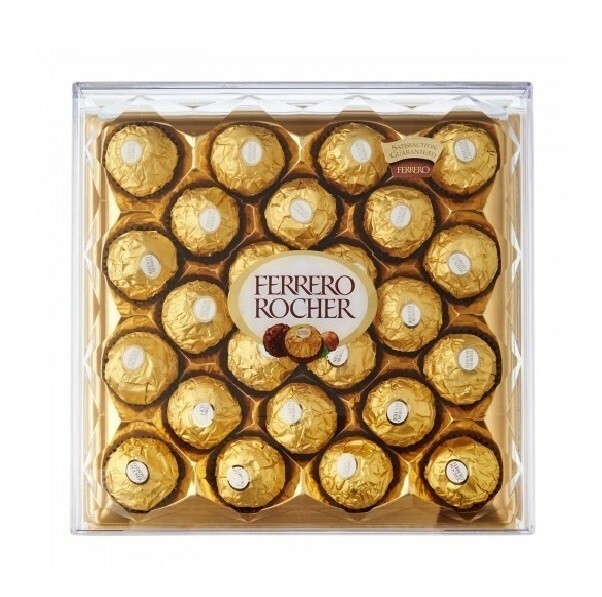 Yes, Bunch of Chocolates. 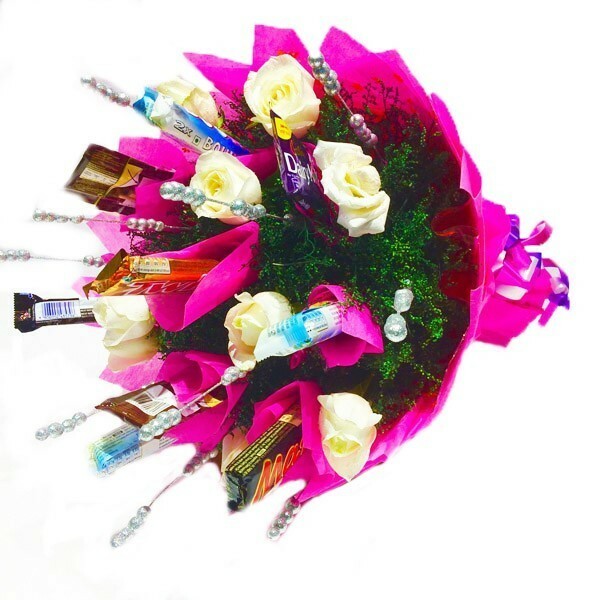 It is beautifully wrapped and will surely surprise your loved ones. 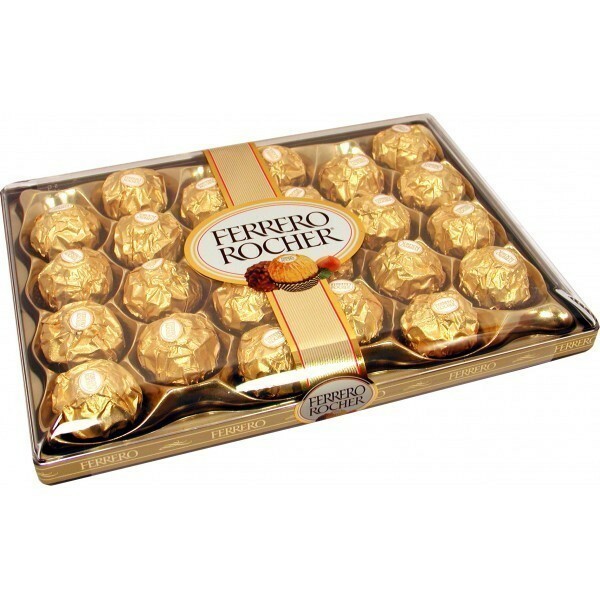 16 pieces of ferrero rocher bunch with beautiful paper packing. 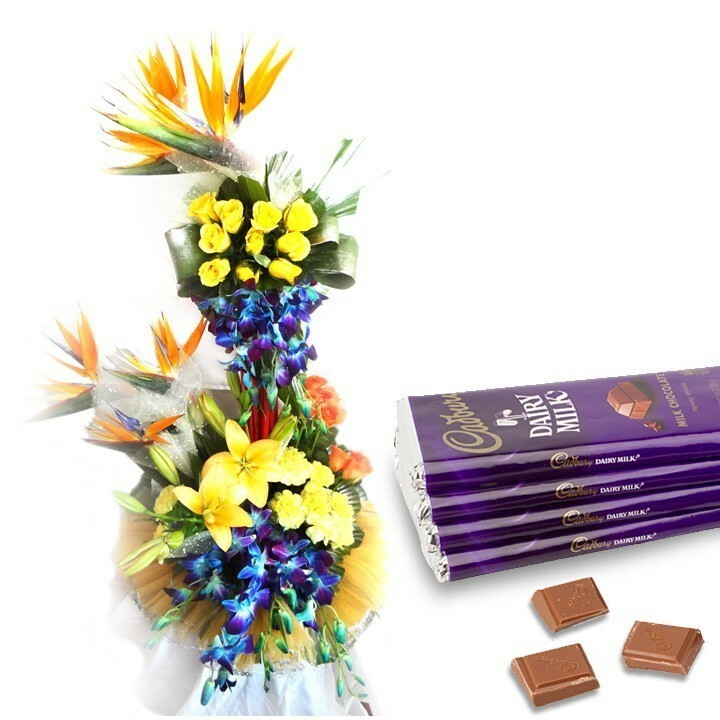 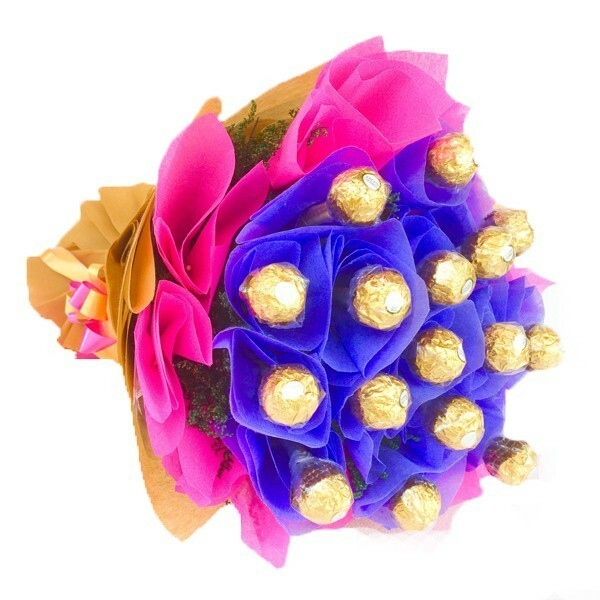 Beautiful bouquet of bop, yellow roses, blue orchids, orange roses and yellow lilly wrapped up with an arrangement of 4 small Dairy milk Silk chocolates. 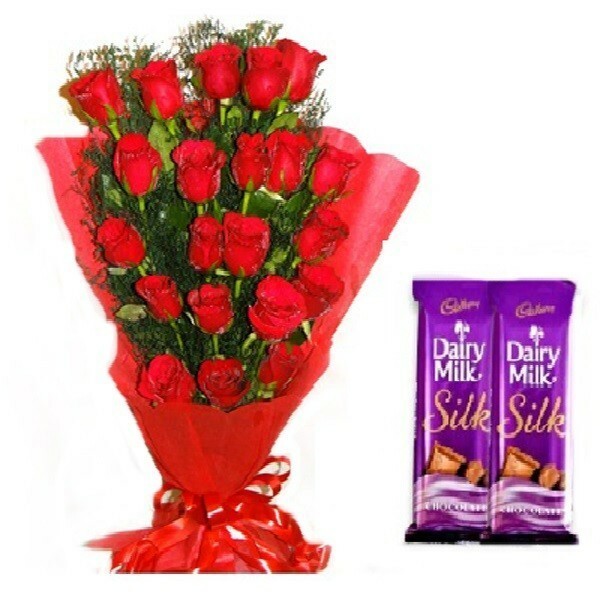 Send this beautiful fresh flowers bunch of 10 pink roses with cadbury small box chocolates box and brown cute teddy to your loved ones and surprise them through this unique gift of flowers and chocolates and make somebody’s day a special one. 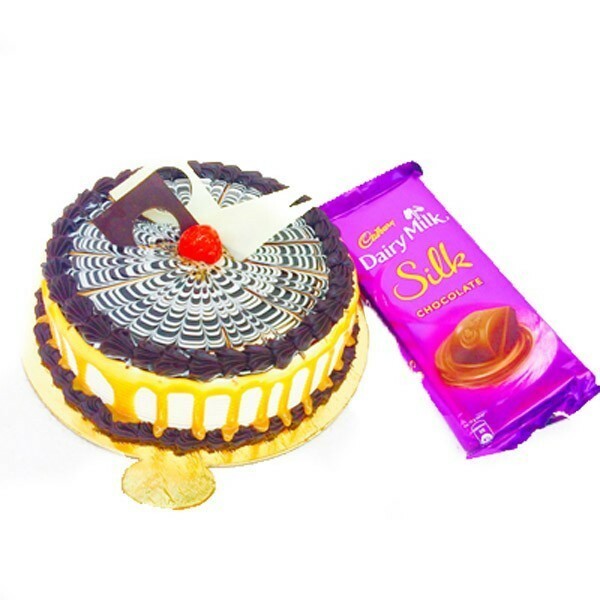 Send this lovely combo of delicious and fresh half kg Choco butterscotch cake along with big Cadbury silk to add the real sweetness into the relationship of your loved ones,this is the best way to show your presence there even if you are not there.Send it through DP Saini florist.